Start off your visit on the 9th (Fri): kick your exploration up a notch at some of the top local zipline courses and adventure parks, admire the sheer force of Telaga Tujuh Waterfalls, and then explore the fascinating underground world of Tanjung Rhu Beach. Get ready for a full day of sightseeing on the 10th (Sat): see the vivid underwater world at Pulau Payar Marine Park, then step off the mainland to explore Dayang Bunting Island, and then step off the mainland to explore Beras Basah Island. To see photos, reviews, and more tourist information, go to the Langkawi trip planner . Cairo, Egypt to Langkawi is an approximately 15.5-hour flight. Due to the time zone difference, you'll lose 6 hours traveling from Cairo to Langkawi. Traveling from Cairo in November, expect Langkawi to be somewhat warmer, temps between 36°C and 29°C. 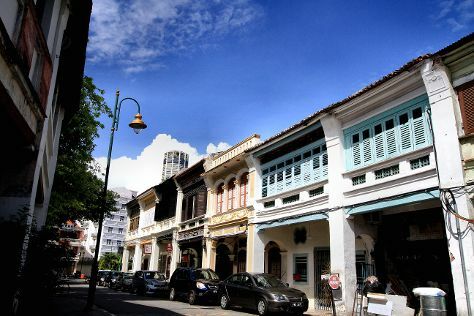 Cap off your sightseeing on the 10th (Sat) early enough to travel to George Town. Start off your visit on the 11th (Sun): take in the spiritual surroundings of Reclining Buddha Wat Chaiyamangalaram, take in the spiritual surroundings of Dharmikarama Burmese Temple, then admire the landmark architecture of Kek Lok Si Temple, then contemplate in the serene atmosphere at Kapitan Keling Mosque, and finally appreciate the extensive heritage of Armenian Street. To see other places to visit, more things to do, and more tourist information, read George Town attractions app . Getting from Langkawi to George Town by combination of flight and taxi takes about 1.5 hours. Other options: ride a ferry. The time zone changes from Malaysia Time to West Indonesia Time, which is usually a -1 hour difference. In November in George Town, expect temperatures between 36°C during the day and 28°C at night. 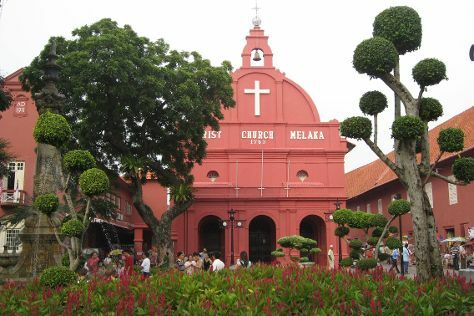 Finish your sightseeing early on the 11th (Sun) so you can travel to Melaka. Kick off your visit on the 12th (Mon): examine the collection at Magic Art 3D Musuem, take in the spiritual surroundings of Cheng Hoon Teng Temple, examine the collection at Straits Chinese Jewelry Museum Malacca, then wander the streets of Chinatown - Melaka, then enjoy breathtaking views from Menara Taming Sari, and finally pause for some serene contemplation at Christ Church. Here are some ideas for day two: get engrossed in the history at Stadthuys, contemplate the long history of A Famosa Fort, admire the landmark architecture of Malacca Sultanate Palace, then take in the spiritual surroundings of Melaka Straits Mosque, then take in the architecture and atmosphere at St Peter's Church, and finally don't miss a visit to The Huskitory. To find maps, where to stay, traveler tips, and tourist information, read Melaka road trip planner. You can fly from George Town to Melaka in 2 hours. Alternatively, you can do a combination of flight and bus; or drive. Due to the time zone difference, you'll lose 1 hour traveling from George Town to Melaka. In November, plan for daily highs up to 37°C, and evening lows to 28°C. 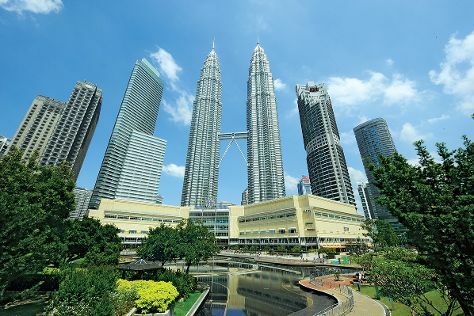 Cap off your sightseeing on the 13th (Tue) early enough to go by car to Kuala Lumpur. Kick off your visit on the 14th (Wed): admire the landmark architecture of Petronas Twin Towers, explore the fascinating underground world of Batu Caves, then look for all kinds of wild species at KL Bird Park, and finally contemplate in the serene atmosphere at National Mosque (Masjid Negara). On the next day, take a stroll through Jalan Alor and then admire the masterpieces at Islamic Arts Museum Malaysia. For other places to visit, more things to do, maps, and other tourist information, go to the Kuala Lumpur trip maker . You can drive from Melaka to Kuala Lumpur in 1.5 hours. Alternatively, you can take a train; or do a combination of bus and train. In November, plan for daily highs up to 37°C, and evening lows to 28°C. Finish up your sightseeing early on the 15th (Thu) so you can travel back home.